This is a project I kinda had in my head for a while but never really had a solid idea for until my friend convinced me to do it. So here it is! This project is in the form of an abridged with aspects of a fandub so I can't wait to see it turn out. I will not only be directing this project, but I will also be voicing the director that will be participating in this project. Once you are casted, PM me your skype name and from there we work try to find the soonest time to get your parts done. I hope you all have fun and look forward to working with all of you. Fang has spiky hair and a tattoo down the left side of his face. He was also a participant in the Tragedy of Sablier. Fang speaks politely and is the most rational of the trio. He wields a large blade. Retrace 51 implies that Fang, along with the other Baskervilles, is immortal, as they are "special beings chosen by Abyss." Despite this, in Retrace 56, Break stabs him through the stomach and he dies by dissipating. 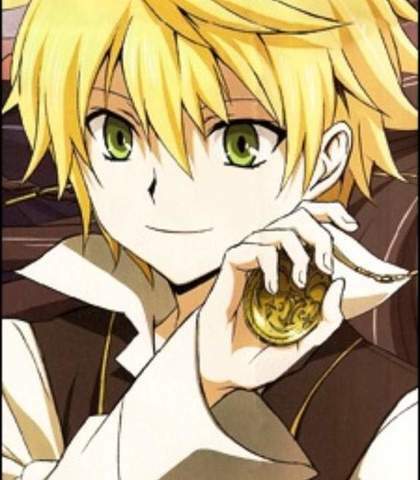 Elliot Nightray is a student at Lutwidge that, along with Leo, catches Oz's attention as they can play the tune from his pocket watch. He first meets Oz in the Latowidge library where they get into a fight over a character in the novel series "Holy Knight" (Elliot spoils the ending for Oz's favorite character, Edgar). He also doesn't like Ada calling his name and despises how the Vessalius seem to get away with anything just because they were heroes 100 years ago. Ada, however, thinks he is a nice and dependable person deep down. He is the legitimate heir of the Nightray Dukedom and consequently the brother of the adopted Vincent and Gilbert. He is adept with the sword and keeps a blade with his family crest in a violin case. Elliot has a strong sense of right and wrong and tends to say things without consideration to the other party. It is through this straightforwardness, however, that Oz finally overcomes the shadows of his past. He has said that the tune he and Leo were playing was composed by him and is called "Lacie", implying a strong connection between him and Glen Baskerville. He is also shown to suffer from nightmares, which later on in Chapter 39 is implied that Eliot possesses some of Glen's memories. Elliot meets Oz and co. at Sablier in chapter 34. He takes them into the Nightray's orphanage at Sablier, where Oz meets Phillipe. Elliot sticks up for Oz when Zai shows up. Ada Vessalius is Oz's little sister who adores him very much. 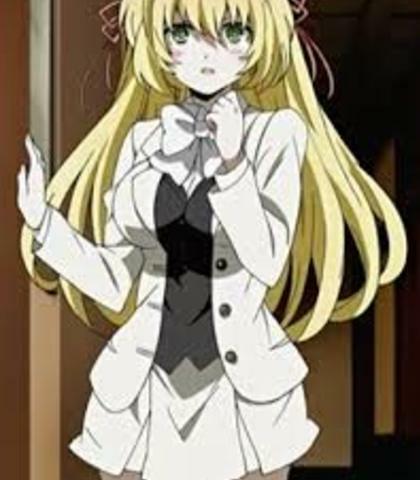 After 10 years she attends Lutwidge (ラトウィッジ), a prestigious school for nobles, of which she is a prefect. She keeps in contact with Oscar via letter and causes Oz and his friends to sneak into Lutwidge as she wrote that she has found a person she likes. It is revealed that she was the one who gave Gilbert his precious hat, that made Oz and Oscar think that Gilbert is the one that Ada likes. Then she asked Oz to let her be the one to return Elliot's bag, but when Oz said that he will return Elliot's bag by himself, Ada was slightly disappointed. However, in the later chapters she is seen on a date with Vincent. She has a cat named Dinah and later another one named Snowdrop. It is revealed later, much to Vincent's astonishment, that she has been studying about the Abyss and the occult in order to find a way to bring her brother back from the Abyss, but, during her studies, she has grown an interest in the occult. Alice's twin sister who in this project is a fellow actor among them. She's a jolly soul and likes everyone, however her other persona she takes on-screen is sadistic, insane, and eccentric as hell. 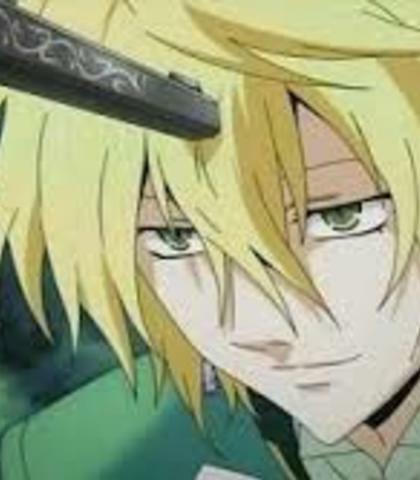 Oz Vessalius is the fifteen-year-old protagonist of the story with blond hair and green eyes. He is from the prestigious Vessalius family, whose father, Zai, is the reigning lord. His mother was killed by the Nightray family, but despite this, he retains a bright, optimistic, and energetic personality. 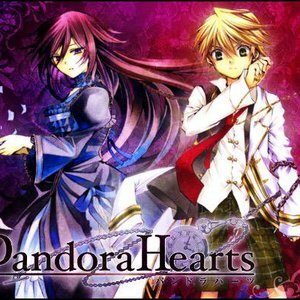 The story of Pandora Hearts starts when Oz turns fifteen. During the ceremony to celebrate this reaching of adulthood, he was dragged into the Abyss for the 'sin of his existence'. There he meets a young girl named Alice who turns out to be a Chain, a monster that was born in the Abyss. 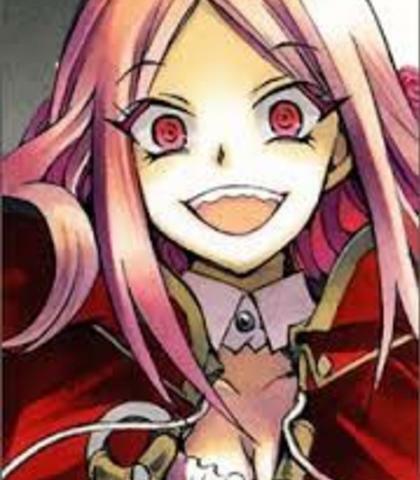 Oz makes a contract with her in order for both of them to escape the Abyss. Upon returning to the real world, he finds out that 10 years have passed. In order to find out what his sin meant, he began to work under Break as part of Pandora. During this, it is shown that when he was young, he worked hard to gain praise and recognition from his father. However, he had discovered that his father hated him to the point of not wanting to touch him. After experiencing this, Oz began to think that there is no guaranteed thing in the world. He thought of himself as weak and, in order to protect people, he should at least remain an obedient child and let harm come his way. After traveling into the Cheshire Cat's lair, Oz meets Jack Vessalius and in turn becomes his 'medium'. Jack eventually speaks at Pandora's headquarters and the public hail Oz as a 'hero'. Oz finds that he can swap control of his body with Jack if he calls hard enough and may sometimes even see snippets of Jack's memories. According to himself he is quite skilled with the sword, particularly in self-defense. However, he has very little real experience in fighting. Oz likes cute, younger girls and flirts with them frequently. He once wished to marry Sharon when they first met. Oz, himself, thinks of Alice as his precious someone, calling her his "sun". He believes that Alice is the reason that he can still smile. 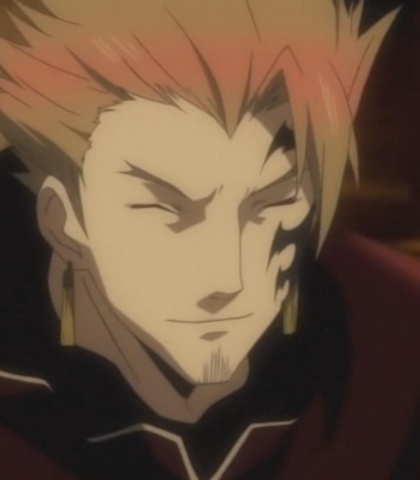 Oscar Vessalius is Oz's uncle. He is easy-going and very caring. Oscar was the one who found Gilbert and brought him to the Vessalius Dukedom. Both Oz and Gilbert treat him as a father figure. He gets along well with Break. When he received a letter from Ada (in which she stated that she had found someone who she likes), he took Oz, Gilbert and Alice to Lutwidge. He was said to be married to a sickly woman named Sara and had hopes of bearing a child. It's assumed she died without the chance to bear a child, as the camera he was going to use to take a picture of his son with was never used. 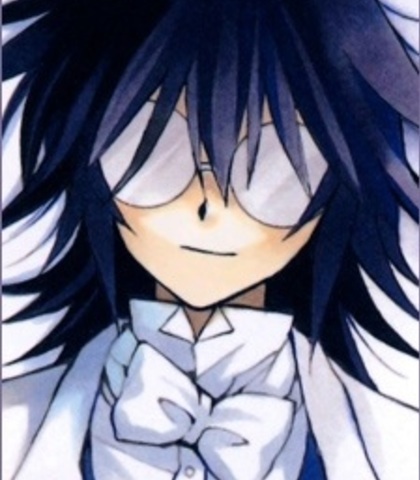 Leo Baskerville is boy with dark messy hair and round glasses. He is a student at Lutwidge and serves Elliot. He has a calm and collected demeanor and is hardly rattled by anything. Leo is very observant and discovered Oz's identity as an intruder. Despite being Elliot's servant, he doesn't always take his side and will make him apologize if needed. Also, Leo could hit Elliot if he's doing or saying something wrong to his eyes. He is rarely seen without Eliot. Leo carries a gun and is apparently hopeless with it and swords, according to Elliot. In chapter 49 Elliot witnesses a friendly little chat between Leo and Isla Yura, wondering how they are related. Leo thinks Isla Yura is the culprit of the deaths of six children of the orphanage and the one who made Phillipe forget about his fathers's death; being this the first time we get to see him acting saddened, angry and restless. Gilbert Nightray, also known as Gil or Raven. He is Oz's best friend and loyal servant. 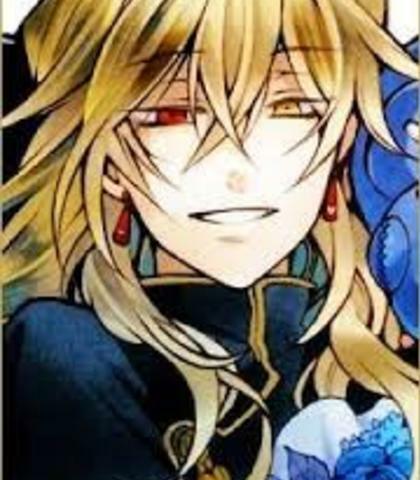 Oz is his most important person, for whom he is willing to sacrifice anything; this protectiveness is compounded by the fact that he was brainwashed by Miranda Barma to protect Jack Vessalius (and therefore Oz, who is his medium) even if it means killing. When Gil is drunk, he reverts to his fourteen-year-old self, an insecure crybaby. He cares deeply about the hat that Ada gave him. He is a great cook, terrified of cats, unable to quit smoking in eight attempts, and constantly afraid that as Oz grows, he will be left behind. Charlotte "Lottie"(ロッティLotti? )is a bubbly girl with pink hair that kidnaps Oz at Lutwidge. She was a participant in the Tragedy of Sablier and killed many under orders. She served the Baskerville house and had feelings for Glen 100 years ago. Her real name is Charlotte, but Jack gave her the nickname Lottie after they met. Lottie can't forgive Jack for killing his supposedly best friend and object of her affection and thus is targeting Oz to talk to Jack. Her main objective was to find their master Glen, and to find out what actually happened on the night of the Tragedy of Sablier. Although she was one of the participants, she acted upon orders, and knew nothing behind the scenes. Hence why they approached Jack for the answers. She controls a chain called "Leon". Break has begun a "friendship" with Lottie as of chapter 41. Retrace 51 implies that Lottie, along with the other Baskervilles, is immortal, as they are "special beings chosen by Abyss." It appears the Baskervilles are more like Chains than humans at this point which makes them susceptible to Mad Hatter's power. After encountering Reim in the Abyss, Lottie decides it is her job as Glen's vassal to pull him from the wrong path and joins forces with Sharon and Reim. Reim Lunettes is a member of Pandora. He wears glasses and is a serious person. He is always used and made fun of by Break, Oscar or Vincent, much to his frustration. He accidentally discovers Oz's return from the Abyss. 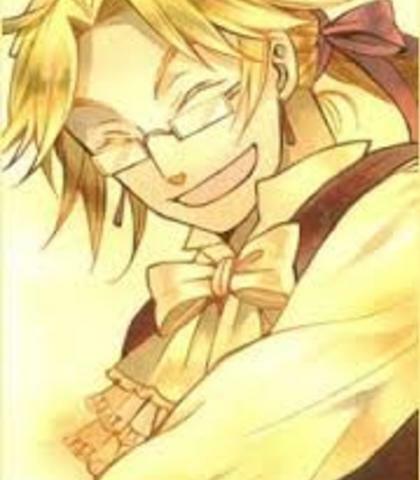 Reim is a rather honest person and is seen to be trusted by most of the Pandora members, and also by Break and Oz. He was put in charge of looking after Oz by Oscar. Rufus Barma is his master. Reim has a close friendship with Break, consoling him after Break loses his eyesight. It is revealed in chapter 49 that Reim is a contractor, and in chapter 51, that his Chain is March Hare, any powers it may have are said to be useless for fighting but what it is exactly has yet to be revealed. He and his team was attacked by Lily who kept him alive, at first because she wanted to have a contractor battle and then because she wanted to be his friend. Despite his qualms about a little girl being one of his enemies, he shot Lily in the head when she nonchalantly revealed that the Baskervilles would perform another massacre if Glen ordered it. He appeared to have been killed by Lily precipitating a fight between Break and the Baskervilles. But his ability is revealed to be "False Death" which gives him the appearance of a dead man fooling enemies. 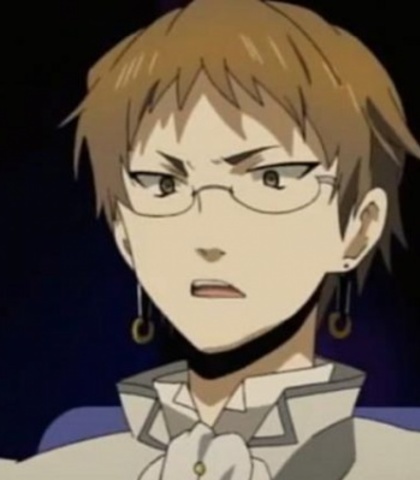 Reim's feelings on Lily are unresolved. A chain that lives in a dimension created from Alice's memories. He resembles a human form of the Cheshire Cat from Alice in Wonderland. Cheshire was actually Alice's pet cat from 100 years ago. The bell around his neck is the 'truth' from 100 years ago, later taken by Break. The Cheshire cat is a unique chain in that he doesn't need a contractor in order to leave the Abyss (since his residence isn't in the Abyss in the first place). Originally believed to be a fervent servant of the Intention of the Abyss, it later turns out that he is trying to protect Alice's memories that she abandoned, in order to prevent her from suffering pain when she recalls them. Break mentions that Cheshire's eye was his. It is revealed in Break's memory of meeting the Will of the Abyss that Vincent had removed Cheshire's eyes 100 years ago, killing him. 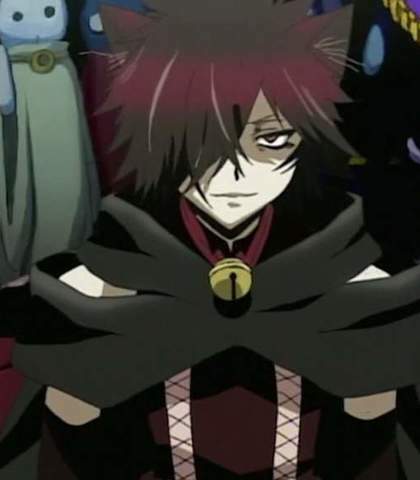 Cheshire also has only one eye, since the Abyss only took one of Break's eyes when it showed his memories. Cheshire can also be connected to "Through the Looking Glass" as Alice's cat 'Kitty'. Kitty is black and has a ribbon tied around his neck.However in Chapter 94 he makes a return surprising even Oswald.Chapter 95 reveals he did not die but had been in dimensions trying to recover his wounds. Echo is Vincent's personal servant. She is somehow emotionless, like a puppet and she treats Vincent's words as law. Oz calls her "Echo-chan". Echo fights with blades that come out of her long sleeves. It may seem that Vincent treasures her, but he actually does not care that much. In Chapter 23, he goes as far as to poison her to prove that the antidote for the poison that he poisoned Sharon with works. Echo is shown to have her own mind when she saves the bottle of antidote that Vincent almost drops off the veranda, because she remembered what Oz said the first time they meet. In Chapter 33 she admits that she finds Vincent annoying. She seems to have developed feelings for Oz after both of them went to the festival together and Oz shows her what it is like to have fun. He also gives her a hair ornament which he was supposed to give to the girl he likes, although he didn't know that. 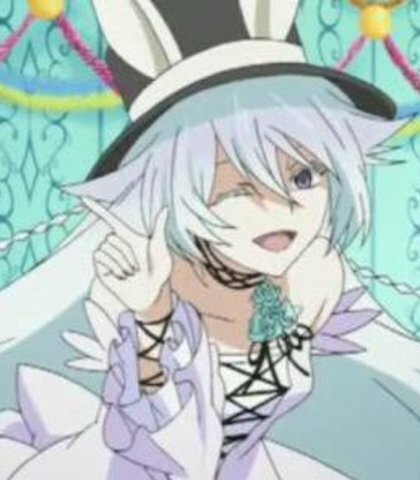 She is known to have another personality called Noise, who is actually Zwei. Zwei loves Vincent deeply and is the original personality inside Echo's body. Zwei controls a chain called Doldee that can control other people or immobilize them using strings. Zwei used her chain to immobilize Gilbert, and also used it within Echo to capture Sharon. Jack Vessalius is the 'hero' of 100 years ago and the one who 'defeated' Glen Baskerville. He is revealed in Chapter 65, that it was he who caused the Tragedy of Salbier making him the main antagonist. He has some sort of connection with Alice's memories. Jack looks like a grown-up Oz with a long plait. 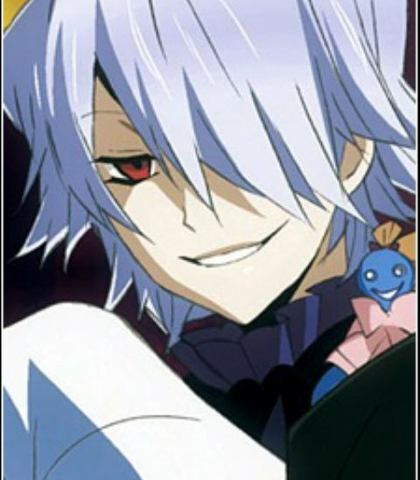 His personality is also similar; Like Oz, he does things at his own pace and is loud and cheerful. Oz and Gilbert meet him when they are taken to the Cheshire Cat's dimension. He is currently residing in Oz's body and can 'possess' Oz and speak through him. When in control, Jack also has full control of Alice's chain power. Jack was the third son of the Vessalius family who was, before the Tragedy of Sablier, a third-rate noble family. Thus, with no expectations from his family, he acted quite freely: always smiling, joking and flirting with girls. Jack was also a self-proclaimed music box maker. 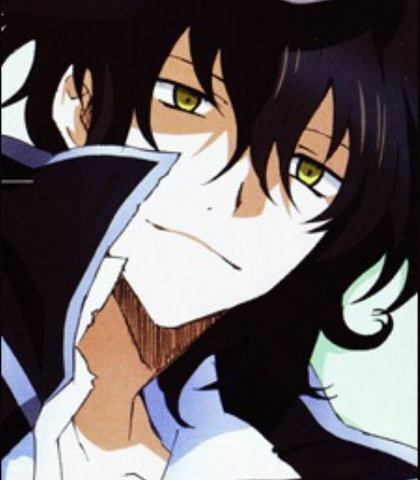 His best friend at that time was Glen Baskerville. Jack crafted a pocket watch for him and Glen wrote the melody, titled "Lacie". The pocket watch's melody was said to be a song that Lacie always sang to herself. Later, Glen tried to kill Jack because he started the Tragedy of Sablier (because he believed that without Lacie, there was no meaning to life) Although hailed as a hero for this act, Jack did not want to kill his best friend. In a later entry in Jack Vessalius 's diary, he wrote: "I have killed my best friend. Please... Please do not call me a hero." But it was revealed, that it was Glen who actually wrote this. He also shows true anger when Lottie suggested that he killed Glen to gain fame and glory. Jack reveals, through his speech when he first possesses Oz, that Glen is still living. Despite this, he says to the Baskervilles that if they wish to repeat the past, he will once again turn his body into a blade that will destroy the Death Gods. It seems that all of the things he has said were all lies. Vincent Nightray is Gilbert's younger brother by one year. As the Vessalius family found Gilbert, the Nightray family similarly adopted Vincent. His left eye is golden like Gilbert's, but his right eye is wine-red, his long hair is golden in color and he is the only left-handed person. He loves his brother Gilbert to the point of slight obsession. He has an easy-going personality on the outside and is often seen smiling. However, it is shown that Vincent also has a dark, unstable side. He has a habit of carrying around scissors and cutting up stuffed animals with them. 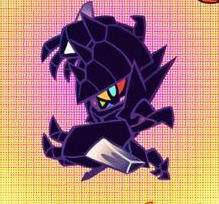 Break is often at odds with him, referring to Vincent as a dirty 'rat', which is fueled by Vincent sending Echo to attack Sharon. 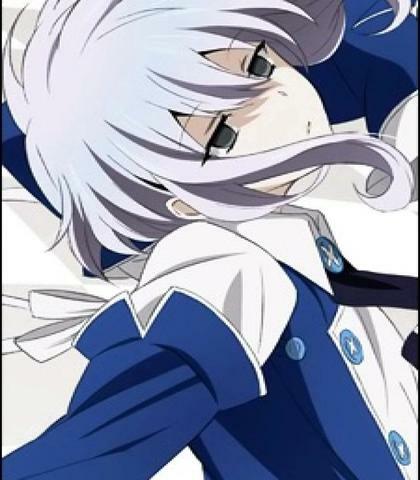 Xerxes Break, more commonly referred to as Break, is a member of Pandora and a servant of the Rainsworth Dukedom. Break's appearance does not change from the ten-year gap between Oz entering and leaving the Abyss. He has a contract with the Mad Hatter. Break is often seen with a doll on his shoulder, which he calls Emily. He adores sweets and cakes. From the outside, Break seems like a carefree character, never serious and always smiling. When needs be, however, Break shows his dangerous and evil side. 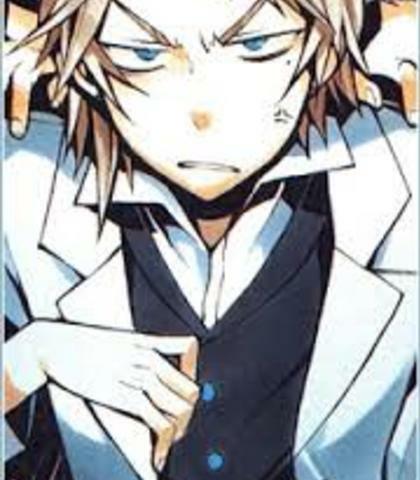 Reim tells Oz that Break has not always been the way he is now. Before, after losing his eye, he was a bitter and angry person, never smiling. However, through the kindness of Shelly, Sharon's mother, he began to open up. He has sworn absolute loyalty to Shelly. 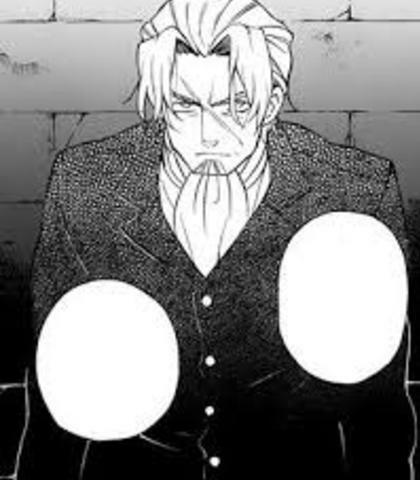 Zai Vessalius is Oz and Ada's father. He appeared only in a flashback until chapter 39. He is depicted with a cold attitude toward his son and explicitly rejected him. In chapter 40 it is shown he has a large scar across his face and is responsible for sending his son to the Abyss. He controls the chain named 'Griffin'. Although the Duke Nightray tells Elliot to hate the Vessalius, he and Zai seem to be friends. It was revealed that he was who planned sending Oz to the Abyss, along with the other Baskervilles. He knows where the Baskerville's final door was. He sent Oz to the abyss with the power of his Griffin. He was protected by Gilbert from being slashed by Oz. He believed that Jack is the cause of his stillborn son and wife´s death, to the point he thinks Jack also killed his brother´s, Oscar, wife and child. When protecting Ada from a chain, he received a fatal wound on his back. Although he never ceased to hate Oz, Oz said that he had wanted to know Zai better.